Afros in the Media - addisafross Webseite! Trans World Sport is a weekly hour long magazine show which has been running non stop for 28 years and is shown in the UK on Channel 4. Also shown on SUperSport and Setanta in many parts of Africa. This is a short Video that we posted as part of the Fairplaid Crowdfunding Initiative 2013/2014. Interview of Martin Dirr by the Sportnetzschau. 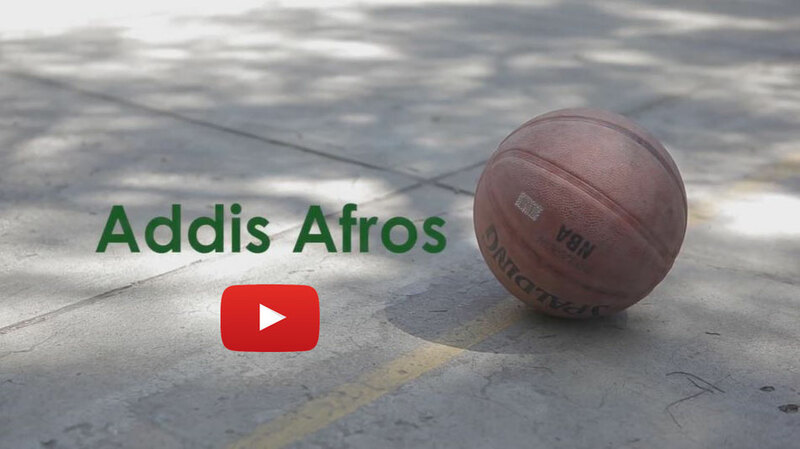 Short clip about the preparations of the 2nd Addis Afros Streetball Jam in Addis Ababa. Short clip from the 2nd Addis Afros Streetball Jam in Addis Ababa, Ethiopia on the 7th and 8th of december in 2012.
osradio 104,8, a local radio station from Osnabrück, Germany interviewed Daniel Rauf as part of the Crowdfunding Initiative. Click here to listen to the interview. In the News: Trierer Volksfreund "Wie ein Trierer dank Crowdfunding äthiopischen Basketballern die Saison rettet". In the News: NDR "Wie ein Gärtner Äthiopiern Korbleger beibringt"
An Online Articel by the NDR with pictures and Videos. Click here to view. In the News: Stadtblatt Osnabrück "Keine fixe Idee"
An article by the Stadtblatt Osnabrück after an interview with Daniel. Click here and flip to page 4. Blog entry on Addis Ababa's partner city homepage, Leipzig http://www.leipzig-addis-abeba.de, about the first Streetball Tournament of the Addis Afros. Click here and scoll to the bottom of the blog to read more. In the News: Welt am Sonntag 06.06.2010 "Deutsche Entwicklungshilfe auf dem Basketballplatz"
This is an article in the weekly german wide newspaper Welt am Sonntag by Philipp Hedemann. This was the first the Afros made it into the media. Click here to read more. In the News: Welt am Sonntag 04.07.2010 "Deutscher Sponsor rettet Basketballmannschaft"
A follow up article in the Welt am Sonntag one month after the first. Click here to read more.